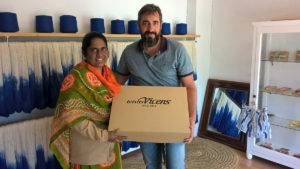 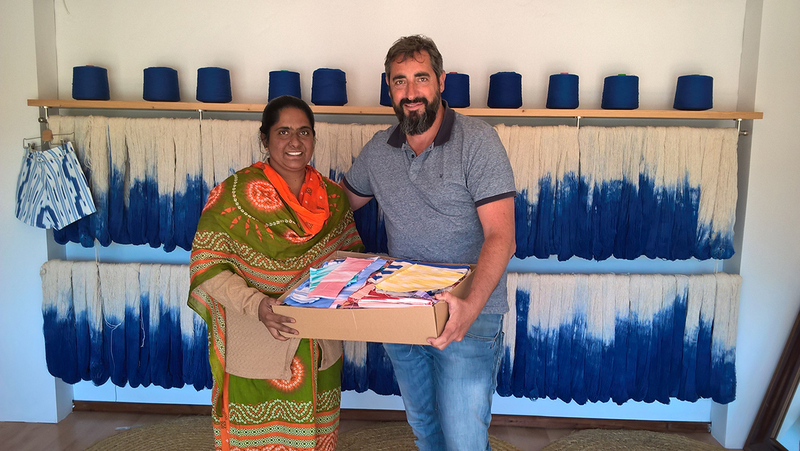 Hasina Syed, member of Fundación Vicente Ferrer (FVF / RDT) in India, visited us last Tuesday in order to pick up the fabrics that FVF is going to use to make mallorquin dolls, a common product. 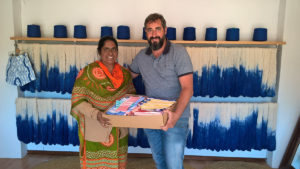 This act shows the beginning of collaboration between FVF and Teixits Vicens, making a fussionating local handcrafts and fair trade products. 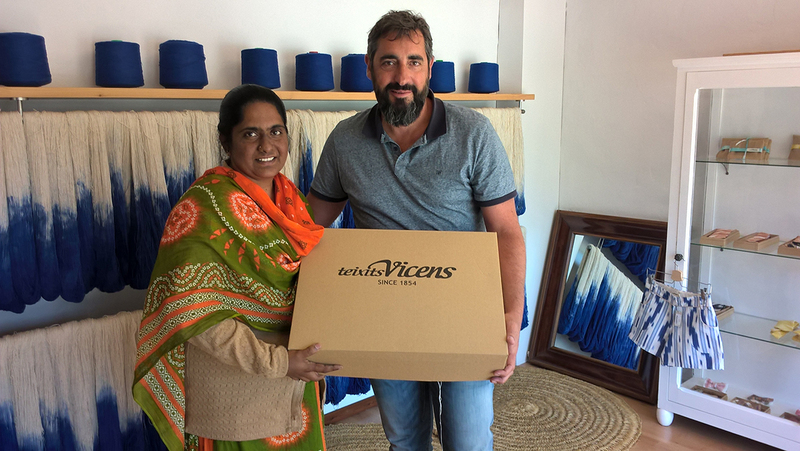 With this project, Teixits Vicens is supporting the equality of conditions, rights and opportunities of handicaped women from South India.